Fast-food and mass-produced foods have destroyed nutrients that our bodies need to live healthy lives. Over-farming and chemical processing is weakening our immune systems causing sickness and early deaths. 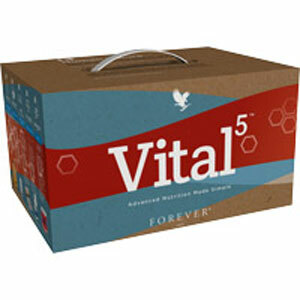 Forever Living's Vital5 Pack contains the all natural nutritional products that are vital to living a healthy and energetic lifestyle. Once you start using the products, you will feel the difference in your body immediately. When you experience the difference with these Vital5 products, you'll see why we feel that they are vital to looking and feeling your best. The miraculous Aloe leaf has been found to contain more than 200 vital nutritional compounds that the human body needs to be fully energized and retain maximum Health and Wellness. Forever Living Aloe Vera Gel is the main product of our patented Aloe Stabilization Process which is today being used by over 2 million people world-wide who want to maintain a healthy digestive system and a natural high-energy level. Statistics show that over 80% of all cancers start in the colon ie the lower intestine. 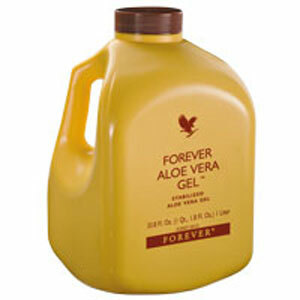 Drinking Forever Living Aloe Vera Juice helps to keep the digestive tract as healthy as can be. Imagine slicing open an Aloe leaf and consuming the gel directly from the plant. Our Forever Aloe Vera GelTM is as close to the real thing as you can get. Note: These statements have not been evaluated by the Food and Drug Administration. This product Forever Aloe Vera GelTM is a 100% natural product is not intended to diagnose, treat, cure, or prevent any disease. Forever Active Probiotic® is designed to help overcome imbalances created by our food and lifestyle choices, which can inadvertently lead to a reduction in the amount of naturally occurring "good" bacteria in our system. Forever Aloe Vera GelTM acts as a "Prebiotic", which fosters the growth of and provides the ideal environment for the Probiotic to function. Forever Active Probiotic® contains soy. Microbes are live microorganisms that exist in our bodies and play a role in our general health and well being. While some microbes are bad, the majority are beneficial. These "good bacteria" are called "Probiotic," meaning "for life" in Greek. Forever Living Products® recognizes the important role that beneficial microbes play in human health and the need for Probiotic supplementation. Designed to promote a healthy digestive system, Forever Active Probiotic® is a small, easy-to-swallow beadlet that helps overcome imbalances created by our food and lifestyle choices, which can inadvertently lead to a reduction in the amount of naturally occurring Probiotic. As probiotics themselves are quite fragile, Forever Active Probiotic® uses an exclusive, patented encapsulation technology that protects the Probiotics then releases a unique combination of six beneficial strains of microbes only after they reach the desired destination of the intestines. The probiotics in Forever Active Probiotic® are derived from Lactobacillus and Bifidobacterium genera; the species are: Lactobacillus Acidophilus, Bifidobacterium Longum, Bifidobacterium Lactis, Lactobacillus Rhamnosus, Lactobacillus Bulgaricus und Lactobacillus Plantarum. Forever Active Probiotic® is the only shelf-stable, 6-strain Probiotic on the market today that requires no refrigeration. 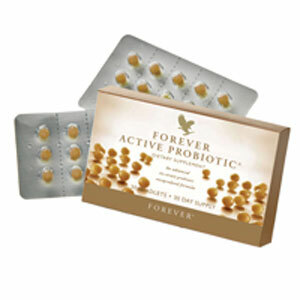 And what’s great about Forever Active Probiotic® is that it works in tandem with our patented Aloe Vera. Aloe acts as a "prebiotic," which fosters the growth of and provides the ideal environment for the Probiotic to function. So whether your goal is to promote a healthy digestive system or enhance nutrient absorption and immune function, add Forever Active Probiotic® to your daily supplement program. Disclaimer: These statements have not been evaluated by the Food and Drug Administration. 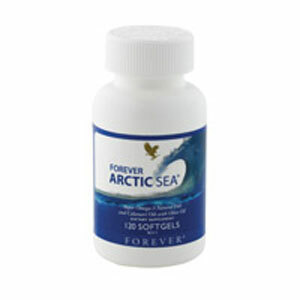 This product Forever Active Probiotic® is not intended to diagnose, treat, cure, or prevent any disease. ARGI+TM provides 5 grams of L-Arginine per serving plus synergistic vitamins to give your body the boost it needs to keep going all day long. Together, these ingredients create a new generation of supplement – one that supports better health throughout your entire body. Just a scoop of ARGI+® mixed with Forever® Natural Spring Water or your favorite Aloe drink helps provide a performance boost to every part of you. Add optimal health to your family’s diet with the power of L–Arginine! Note: These statements have not been evaluated by the Food and Drug Administration. 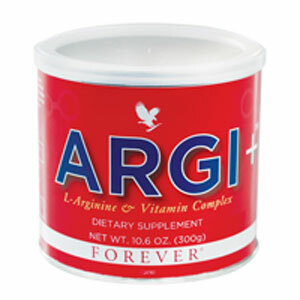 This product ARGI+® is not intended to diagnose, treat, cure, or prevent any disease. There is an important balance that most people do not fully understand when it comes to Omegas. Historically, nutritionally balanced diets contained a healthy ratio of Omegas as 1:1 up to 1:4 DHA:EPA. Unfortunately, many diets include unhealthy levels of Omega-6’s which are traditionally derived from fried foods, vegetable oils, fake butter products, grain-fed animal fat and other modern convenience and processed foods. In addition, many diets are low in fish and Omega-3 consumption, which creates an unhealthy ratio of Omega-6: Omega-3 as high as 30:1! The key to getting back to a healthy ratio of DHA: EPA is increasing Omega-3 consumption and reducing Omega-6 intake. Forever DailyTM with AOS ComplexTM provides the most advanced nutrient delivery system available. Our proprietary new formula contains 55 perfectly balanced, aloe-coated nutrients, including recommended daily allowances of essential vitamins and minerals. Forever DailyTM is a revolutionary nutrient delivery system designed in combination with Forever Living’s proprietary aloe oligosaccharide (AOS) complex. 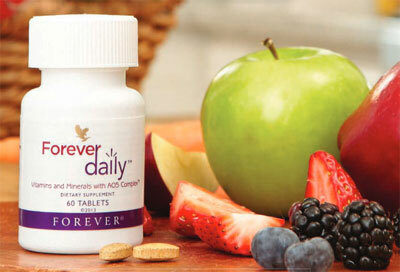 Forever DailyTM with AOS delivers a perfectly balanced blend of 55 nutrients, including essential vitamins and minerals, providing more efficient absorption and in the case of minerals, targeting specific body systems. To order Forever Living Products at a 30% discount, the best way is to register as a distributor first. As a distributor, there are NO fees and admin costs! As a distributor, you get to buy wholesale, saving 30% or more off retail prices. There are NO other hidden cost and NO obligations to order products. You can quit at anytime without any penalties. Over 2 million customers are distributors - just so they can buy for less. You can also order retail, but you will still have to register as a customer and you will pay 30% more. In most cases, if you purchase a minumum of 150 dollars worth of product, the shipping cost are included. Fact: over 2 million people have signed up with Forever Living as distributors - mostly because they can buy the products at wholesale prices. 20% of these distributors are making a nice income working from home sharing good health to others who sign up as distributors. Forever Living has been successful for over 40 years, mainly because their products are extremely effective in creating superb health and well-being. Plus FLP offers a fantastic stable network business opportunity with great training and support! See videos below. Click here and when the flp website opens, click above top right on the "Join" link to register in order to be able to buy Forever Living Aloe Vera Products at a discount. Buy joining us as a distributor, you will also receive a copy of this team website for yourself. Below are some videos that explain how you can make money sharing Forever Living Products with others. Thank you for visiting my site with Forever Living Aloe Vera Gel Wellness Products for your Vitality and Nutritional Needs. If you have any questions or need consultation, my contact information is shown below.